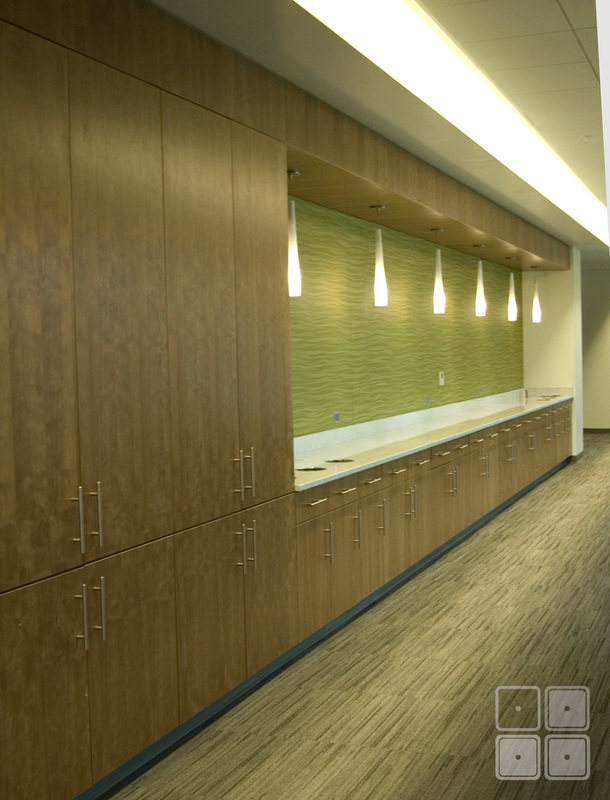 This project for biotech researcher Biogen Idec was completed in 2013. 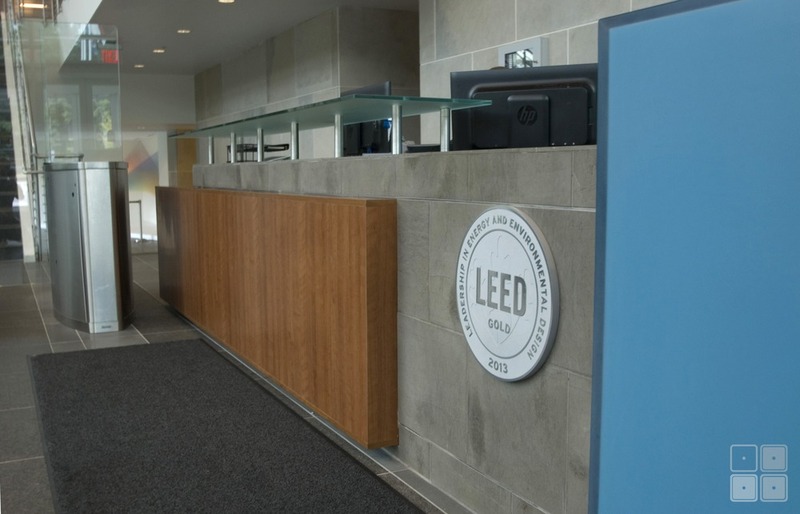 Project scope included millwork for the main lobby reception desk, elevator surrounds, wall panel systems, kitchen cabinetry, banquet fulfillment center, and multiple office support centers. 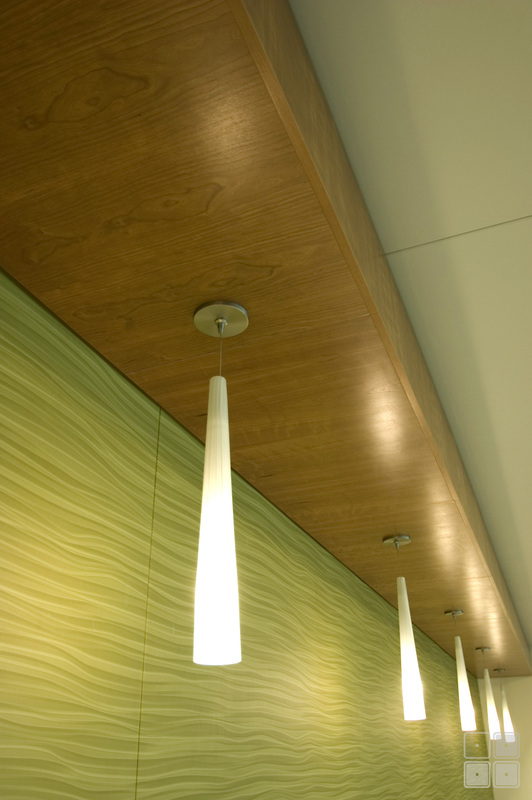 Design features of the wall panel and elevator millwork include solid cherry panels, cherry plywood panels, reveals, and bookmatched grain. All specifications originated with architects and contractors. Modifications for appropriate fabrication were added by Whitaker Mill Works. Cherry display pedestals were designed and manufactured to museum quality standards by our design team.